A wealth of knowledge can be found hidden in the trunk of the Nacho Car. After we placed our order (I opted for the Elvis Green Chile Fried Chicken, a tender chicken breast breaded with Lay’s potato chips and smothered in green chile sauce.) I told her she might find the answer to that question in the Chuy’s Nacho Car, which is a vintage car truck filled with chips, salsa, queso, and other goodies. After being given a rather odd and puzzled look (one that I’m sure you just gave your computer screen) I decided to let her off the hook and explain my response. If you’re not familiar with Chuy’s, it is the most “unchain” like Mexican/Tex Mex restaurant chain across Texas, Tennessee, Kentucky, Alabama, Indiana, Georgia and Oklahoma. 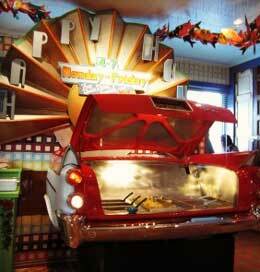 The Nacho Car is just one example of Chuy’s “Food Fullosophy.” They don’t take anything seriously except their food – my kind of place. They even celebrate Elvis’s birthday by serving Texas Martinis that are “All Shook Up, Not Stirred”. Given their unique approach to dining it wasn’t a surprise when Chuy’s became one of the Emerging Growth Companies in 2012. An Emerging Growth Company (“EGC”) is a new category created under the Jumpstart Our Business Startups (JOBS) Act of 2012. An EGC is a company with annual gross revenues of less than $1 billion during its most recent fiscal year that has “gone public” or issued an IPO (“Initial Public Offering”) after December 8, 2011. 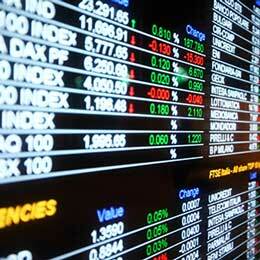 Click here to read more about IPOs. Emerging growth companies are entitled to reduced regulatory and reporting requirements. When a company goes public, certain information becomes public record. This data can be very enlightening to the start-up business world. In a survey of the EGCs from April, 2012, to February, 2013, 41 EGCs disclosed their compensation system for their board of directors. While there is no one “right answer” to my luncheon buddy’s question, it’s helpful to have some ACTUAL monetary figures when establishing your own compensation system for officers and directors. The EGC Survey is an extremely useful tool to gauge what is reasonable compensation for your own business as well as educating yourself about the general trends for determining officer and director compensation. A few EGCs intended meeting fees depending on whether attendance was in person or by telephone. The amount of fees ranges from: $1,000 to $2,500 per meeting attended in person; and $250 to $1,500 per meeting attended by telephone. A few EGCs designed flat fees for attending meetings, ranging from $500 to $1,000 per meeting. One EGC disclosed that the fee is capped at the amount payable for one meeting for a day in which a director attends multiple meetings. Want to learn how to create your own compensation system for your Board of Directors? Let’s have our own business lunch “aldesco” (dining at your desk) on March 19, 2014 at 12 noon CST for our free webinar “Growing Pains: Legal Protections for Maturing Businesses.” The EGC Survey is free to webinar attendees. Space is limited so click here now!